People often ask me about what's unique in Indian business practices? People want to know about the reasons behind success of traditional Indian business firms. This article will help in this direction and will build some additional knowledge about amazing Indian heritage and practices. Can business grow without the modern advertising and marketing? Can business survive without resorting to modern marketing strategies? How will the traditional business organistions survive? What's unique about Indian Marketing Strategies? As an answer to these questions, I shall present a case study of a business firm "M/s Pukhraj Baid" which is India's leading firm in the field of Kundan Jewellery. A study of this firm will certainly put you in deep love with amazing Indian business acumen and practices. Traditional Indian business organisations have not practiced modern marketing, but what they practise is nothing less important and therefore deserves appreciations and attention. d. continuous research on product development, innovation and product designing. The above simple looking principles have enabled this firm to rise beyond imagination and to retain customers for over five decades. No customer, which has even once joined this firm, has left this firm. Serving the same customes year after year, decade after decade and exceeding the expectations and aspirations of the customers is the routine work in this firm. Traditional Indian art-work is dying and needs support and patronage. M/s Pukhraj Baid has acquired expertise in traditional Indian art and designing. 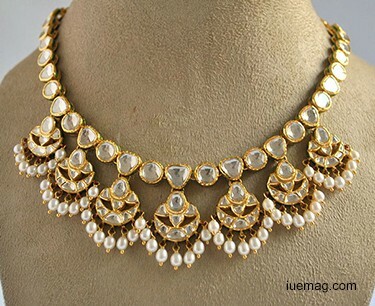 Kundan is a type of traditional art of jewellery making. Maintaining an age old heritage art, yet introducing required changes, modifications, innovations and creative designs without compromising the essense of the heritage is itself a great challenge. c. never present a product to someone without solicitation even if you know that someone is in search of a jewellery item. These three principles remained the fundamental principles of the firm M/s Pukhraj Baid. He was able to win the hearts of his customers through these three principles. He didn't open any showroom, nor did he appoint any agent or broker. He didn't create websites for e-commerce, nor did he adopt other modern tools of marketing. His basic approach of talking direct to the customers and preparing unique products for the customers remained his business practice. Within his life time, he could have his customers across the country and beyond, after making a very small and humble beginning. 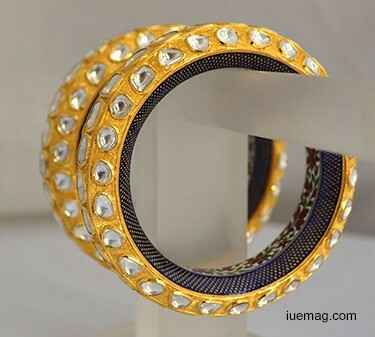 Some of India's richest people, who can afford jewellery from anywhere across the globe, still cling to M/s Pukhraj Baid and get the unique products they seek for themselves. Every jewellery is unique for the customer and extensive research and discussions take place before the final product is delivered. This process results in consummation of art, heritage and innovation. The age old Indian business practice takes its finest shape in M/s Pukhraj Baid. Any facts, figures or references stated here are made by the author & don't reflect the endorsement of iU at all times unless otherwise drafted by official staff at iU. This article was first published here on 4th May 2016.